Without drive remove optimal maintenance . pressure and shear stable - even at the highest speeds. You have installed the drive in a super tight fuselage? 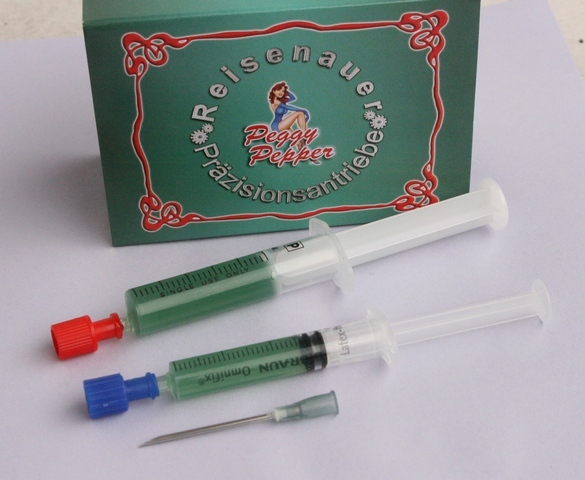 Take off the spinner, unscrew one of the drive fixing screws and bring in PeggyPepper 9-Drops with the 1.8 mm cannula. put 1 drop on each planet shaft, then put in the needle bearings and then put 1 drop on each needle bearing, then put on the planetary gears and give 1 drop on each planetary gear.